“She said yes and I feel so blessed right now, truly blessed. I flew home for our first Valentines together and also a plan to propose but as life would have it we both took the same gastro stomach bug which has apparently been going around...it was nasty... we spent Valentines taking turns running to the bathroom where it seems our bodies were intent on ridding themselves of all bodily fluids from every which direction possible (not pretty) but we both laughed that night and looked at each other saying “no one I’d rather be this sick with”, “plus doesn’t get any worse or less pretty than this” lol... I actually think it’s a cool funny first Valentines story now. My plans dashed to propose on St Valentines Day I now surrendered it to God unsure of how to ask in a way that felt fitting of us both that felt beautiful, authentic and intimate. Today in my hometown of Omagh we went for a drive into the country side and I took Caitriona to visit the old ‘Mass Rock’ in the mountains by where I grew up. Nobody knows this but it’s a private place I would often go on my own to pray. Back in penal times of Ireland’s history people would have to celebrate Mass at these sacred hidden locations here they would celebrate the sacraments at risk of being caught and killed for their faith, I’ve always felt a pride and spiritual connection up there thinking of ancestors past and their dedication to the faith risking their very lives to worship God and participate in the sacraments including marriage. Standing there with Caitriona and explaining its history I became overwhelmed with love and there at the foot of the massive life size wooden crucifix I got down on one knee and asked Caitriona to marry me surrounded by the beautiful Irish mountains and quite a few sheep lol.. no seriously they where everywhere watching on! It was so beautiful and we both laughed and we both cried tears of joy and thanksgiving... she said yes! We are incredibly happy for you both and are honored to be a part of your love story! Congratulations to Matt and Kellie! 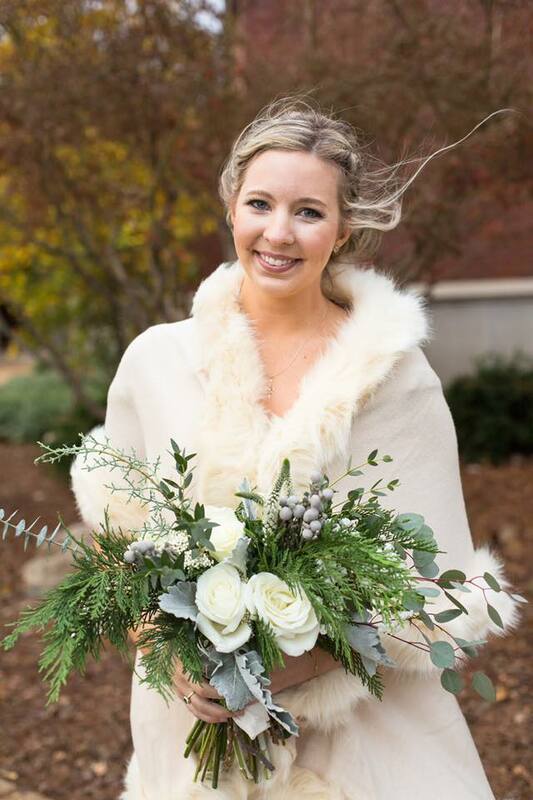 The two tied the knot this December in a gorgeous winter wonderland theme (despite our Nashville weather being a tad warmer 😘). Kellie, one of Melba Walton’s granddaughters, had many personal touches to her stunning bridal look, including the aquamarine ring Maw Maw had given her for her 16th birthday. 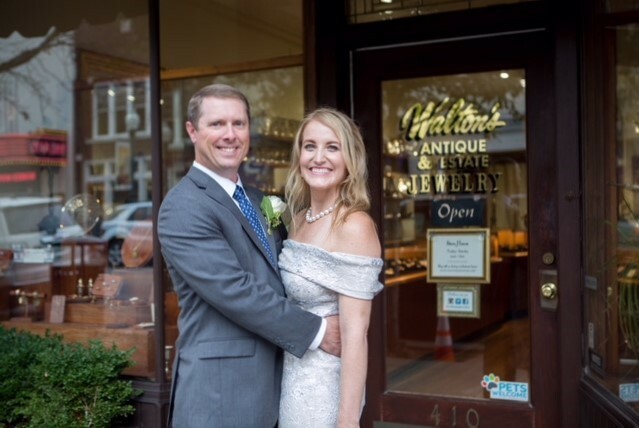 We are thrilled for these two and are so happy to have Matt as an official part of the Walton family! 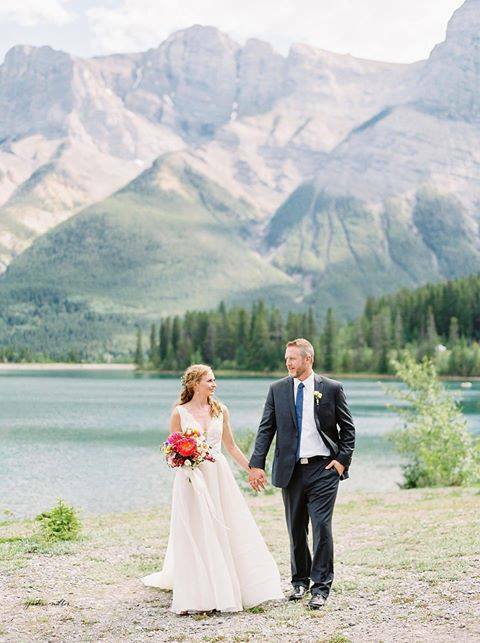 Talk about the perfect setting for a wedding! We were so excited to help Steve and Sarah choose Sarah's engagement and wedding rings. But, even more excited to see these pictures of their big day pop up in our inbox! The Fall wedding season is upon us and we have everything you need for the perfect wedding day gift. Isn’t this diamond cross pendant just the sweetest? It also doesn’t hurt that this stunning bride is an absolute vision in white. ♥️👰🏼🤵🏼 Congratulations to Chad and Courtney! 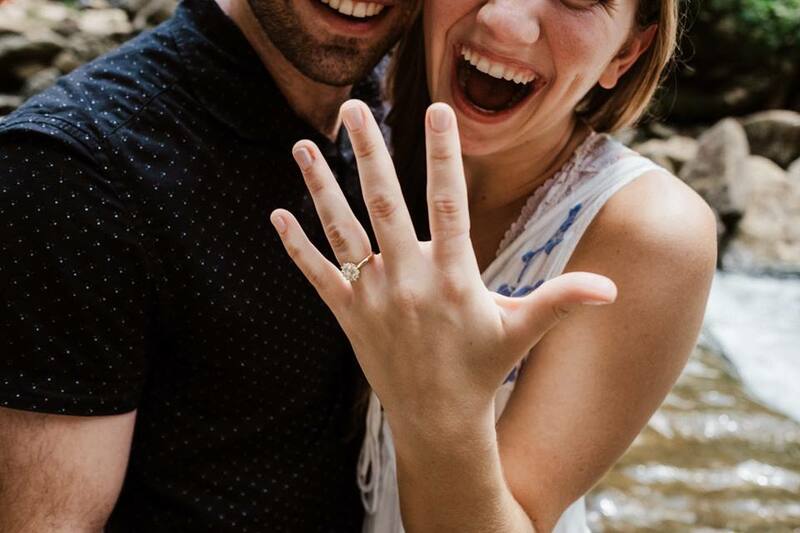 "I was on a hike at Cummins Falls with a photographer for a "portfolio shoot project" and Aaron surprised me by showing up & proposing!! The falls are a special place because it's where we had our first date 😊I was completely shocked. The ring is PERFECT & everything I've ever dreamed about. Simple. Classic. Unique. I can't stop looking at it & the compliments have been endless!" 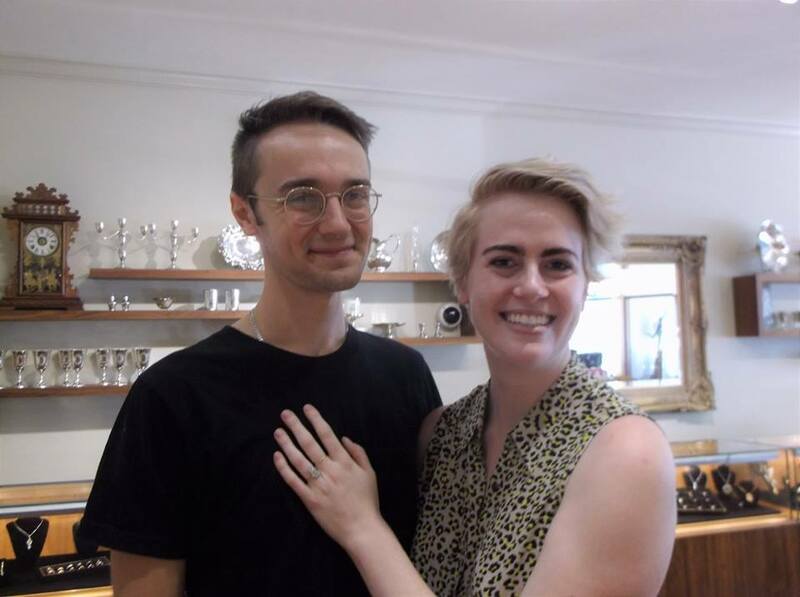 Last week we had the pleasure of helping Elizabeth and Noah, who are new to town (straight from the Big 🍎) , celebrate the two year anniversary of their meeting by picking out an engagement ring! 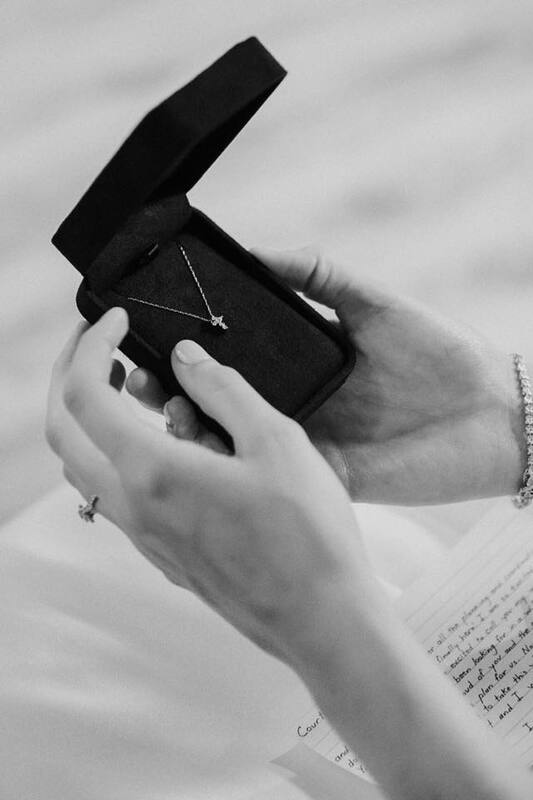 Such a neat way to commemorate a very important date in their lives! Thanks for giving Walton's the opportunity to be a part of your story! Are you ready for a love story to top all love stories? Meet Calvin and Linda- high school sweethearts who met 64 years ago. After high school, life took them in separate directions. Each went on to live in different states, marry other people, have children, and completely lose contact with one another. Through an illness the two reconnected and after the death of their spouses Calvin and Linda were left wondering if there could still be a spark there between the two of them. Turns out there was! 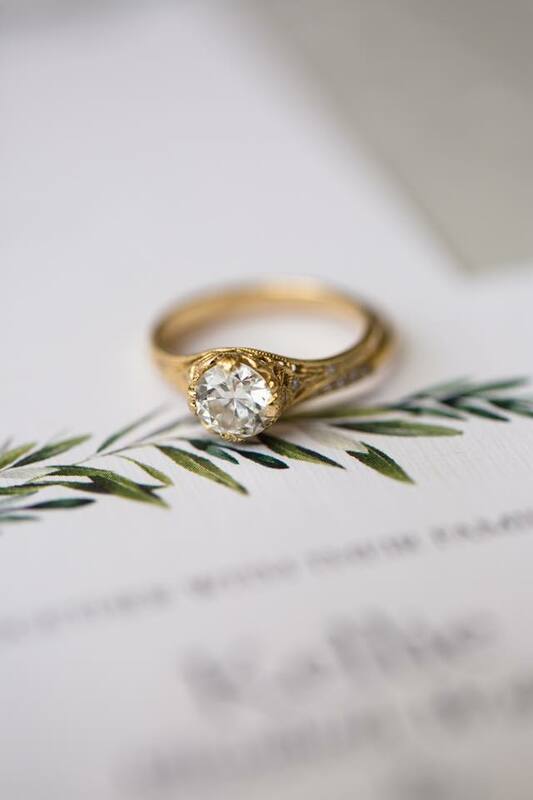 And this week we had the absolute pleasure of helping them find the perfect engagement and wedding rings to symbolize their love for one another! Linda chose a stunning Art Deco marquise cut diamond and matching band set. Our hearts are bursting with joy for this happy couple and we wish many wonderful years full of love for Calvin and Linda! It is truly our honor at Walton's when our customers give us a peek into their lives and allow us to celebrate life's big moments with them. Thanks for letting us be a part of your stories. “Andrew’s proposal was awesome! And it was a complete surprise. I was pretty sure he was going to propose, but didn’t know how or when. In fact, I had gotten a little frustrated with him that morning because I didn’t feel like we were “progressing”. All the time, Andrew was smiling inside because he had been working on his plan for a while and knew it was unfolding in a few hours. He coordinated getting about 25 friends and family from West Tennessee, Mississippi and Alabama to be there with us. I went to see Grease at The Factory with a friend of mine. Her husband and Andrew met our family and friends at Mafiaozas and got everything set up. He had some video cameras set up and had people lined up to take pictures. After the show we walked over from The Factory as everyone was hiding on the deck. His brother had hid behind a tree with a video camera and captured my expression and response. I was completely shocked when he asked. Then right after we kissed, all of our friends and family cheered loudly from the deck – which was also complete surprise. The ring is incredible and exactly what I wanted. Julie was great to work with and so helpful. Mafiaozas was awesome. We spent a couple of hours there celebrating and eating on their outside deck. We're truly touched to be a part of all of life's special moments, especially the big moments that come in small, sweet, little bundles! Congratulations to Eric and Anna and welcome baby John Owen! Eric gave Anna this deliciously fabulous green tourmaline ring to welcome their precious "gem" into the world! Paris is always a good idea... especially when it comes to a romantic, picturesque proposal! Congratulations to Bryan and Jillian! 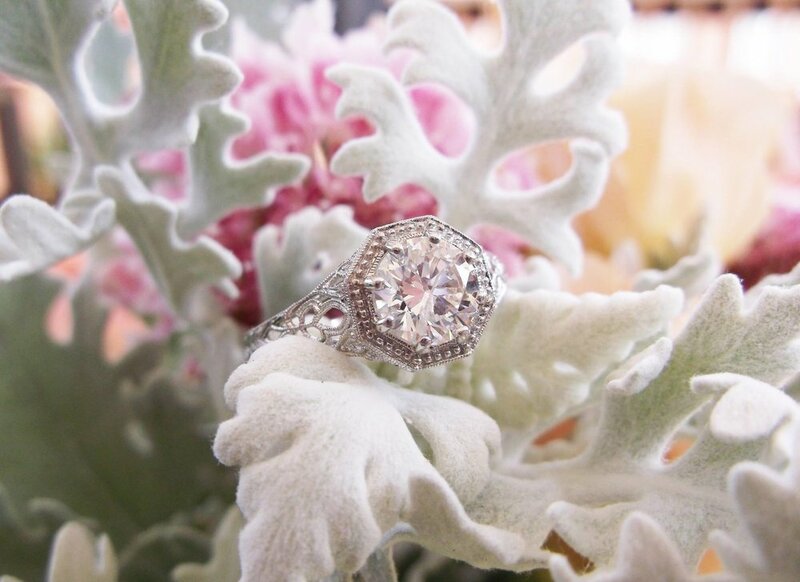 We are honored to be a part of your love story! Tinder success story?! We've got one right here and it will make you a believer! 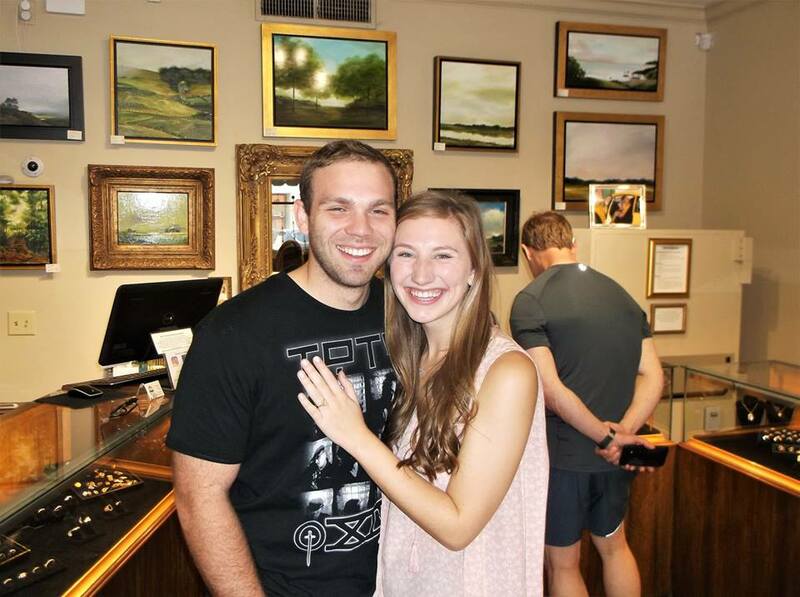 We loved working with Jesse to find the perfect ring for Hilary, and couldn't be more excited for these two! Thank you for choosing us to be a part of your love story! "Jesse and Hilary met on Tinder three years ago (yes, #tindersuccessstory) For their first date, Jesse took Hilary out to dinner at @eatatchauhan, an awesome Indian fusion restaurant. This was probably the first time Jesse had ever eaten Indian food, though Hilary thought Jesse was so cultured in picking this restaurant. After 3 awesome years, Jesse knew that this was the woman he wanted to spend his life with. He took Hilary back to @eatatchauhan for a “birthday dinner”, where they sat at the same table as their first date (Hilary didn’t even notice...) They then went back to their apartment building where their friends had set up a romantic setting on the building’s roof, with candles and twinkly lights and the Nashville skyline in the distance. Hilary was convinced someone else was doing something up there and tried to get Jesse to leave, but he managed to lead her out and then got down on one knee. It was the easiest question Hilary had even been asked. Thank you @waltonsjewelry for such a STUNNING ring 💕💍"
You must take a moment to read Patrick and Alyson's engagement story! In Patrick's words, "the night was far more ridiculous and hilarious than I can put into words, but it was fitting for her and I!" Congratulations, you two! We love your proposal and are honored you chose us to be a part of your love story! "I convinced Alyson to go ice skating with me on the eve of our anniversary, like we did for our first date. I said, “let’s make it a tradition,” she loved the idea of repeating something so special. That’s when I hatched the plan to propose. When our anniversary date finally came, at the end of a long week, we were both tired, and she could sense some sort of tension from me. After two failed restaurant attempts, being asked if we could just go back to my apartment and relax, to which I replied with a stern NO, followed by her telling me “you’re stressing me out,” we finally made it to the ice rink. After a few minutes of skating I began to tell her all of the ways I love her and how much she means to me. When she noticed a small tear in my eye she asked if I was “alright?” To which I replied, “Yes! But I have something I want to ask you.” It was in this moment she realized what was happening and she began to beam and blush in the most amazing way. Gripping my jacket she asked, “Are you seriously going to do this here? !” Meaning in front of so many people, to which I replied, “of course!” And to the screams and awes of teenage girls, mostly, I asked the woman of my dreams to marry me!" Congratulations to Brian and Jaclyn! We were moved to tears when Jaclyn sent us her wedding photos which included pictures taken in front of our store! Thank you both from the bottom of our hearts for your love and support, we are truly honored to be a part of your love story!